Some restriction may apply, please call for details. Broken windshields are typically covered under the comprehensive coverage portion of a car insurance policy. Some states allow for the normal deductible to be waived for windshield replacements. Florida is one of these states, according to FL statute 627.7288 the deductible shall not apply to windshield damages. Please call for details. A Star Auto Glass LLC of North Port will assist you with your insurance claim to help make the process of replacing your windshield as easy as possible. We accept all insurance companies. We bill your Insurance directly. For hastle free insurance claim process always call A Star Auto Glass LLC first. A Star Auto Glass LLC of North Port, FL will come directly to your home or office to work on your vehicle. Our technicians are fully equipped with the latest technology and expertise to replace your windshield with a factory quality installation. We only use quality parts and all replacements are backed with a lifetime warranty. 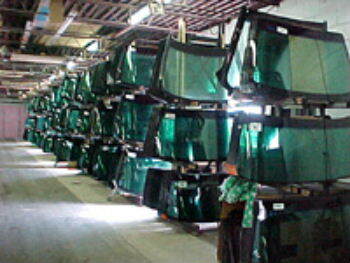 A Star Auto Glass of North Port provides the best quality glass at the best possible price. 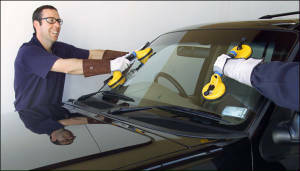 At A Star Auto Glass LLC, safety is our most important consideration. We never compromise the safety of your vehicle. We only use the fastest drying adhesives to ensure that your vehicle is ready to drive when you are. By choosing A Star Auto Glass for your automotive glass needs you are ensuring that your glass is replaced with the highest standard of parts, service and safety. We also provide FREE ROCK CHIP REPAIR service with approved insurance, we'll come to you whether you are in Sarasota, Fl or North Port area. Windshield replacement and rock chip repair mobile service in all Sarasota County Florida area. We serve in North Port, Florida and surrounding area (North Port, Port Charlotte, Rotonda West, Grove City, Englewood, Venice, Vamo, Nokomis, Osprey, Siesta Key, Sarasota, Brandenton) with automotive glass replacement, windshield repair and installation. If you’ve been in an accident or otherwise need your vehicle's glass repaired, A Star Auto Glass is your source for quality work. For the best glass company in the region, come to A Star Auto Glass LLC. We also frequently work with Windshield Rock Chip Repair, door power window regulators. Trust A Star, your North Port, FL Auto Glass company for the best work in the region. If you have any questions, or want to schedule an appointment call our North Port Auto Glass shop today. Thank you for supporting your local Auto Glass Shop in North Port, Florida. Looking forward doing business with you.